I left my head and my heart on the 2010? The NYE wasn't so jolly as last year and we did not even fire any fireworks like we usually do. Our mood has surely dropped to zero since my mom is in the hospital. Altho, we had dinner and we stayed up watching fireworks. 1. 11 days New York Trip in May. 2. My college graduation in July. 5. Passing my first Bachelor semester. The realizing of how lucky I am. I demand my mom to get better & healthy again!! And getting OSM grades at school & getting my P's. Going to Hong Kong & Japan. I wanted to go to Japan for a longlonglong time ago. 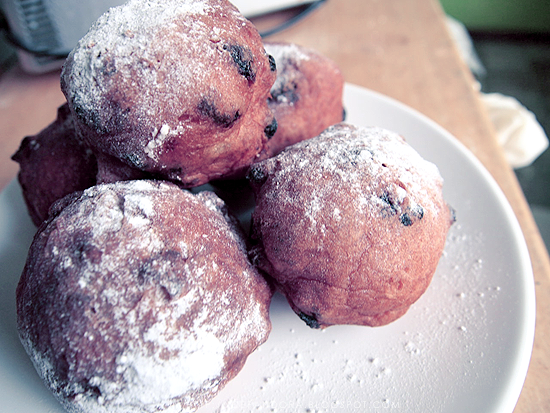 The famous Dutch 'Oliebol' - we eat this during New Years Eve. It taste like a sweet, chewy roll with raisins in it. 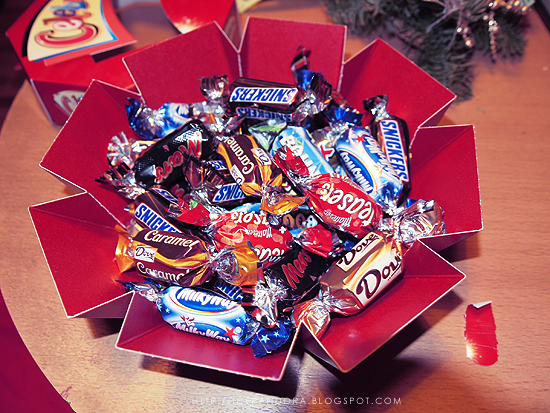 Celebration chocolates! The Maltesers ones are my favorite - and everytime it dissapoints me again when there are like only 2 of them in the box. Reduce the Mars!! Music: Cats Playing Patty-cake, what they were saying... "> Not really a musicvid or song but it's HILLARIOUS - 2 cats doing Patty Cake! Aww, it looks like there's a lot of Ups to your 2010; but that Down is pretty bad :( ! I hope your mum gets better <3 ! Lovely pictures :) and i hope your mom get well soon! and I hope your mum gets better soon! Hoop dat het beter gaat met je moeder! Hope your mum gets better soon! No worries about the fake friends .. it was expected considering they never got over the "high school" act .. it was bound to happen eventually. Your so lucky to be going to Japan, I've been wanting to go there for years but cant seem to save the money to actually go haha .. maybe one day! 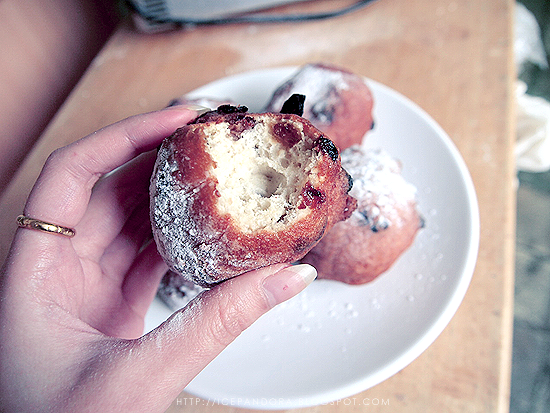 Oliebol look yummy i want to try one but i doubt there is any in melbourne :(. 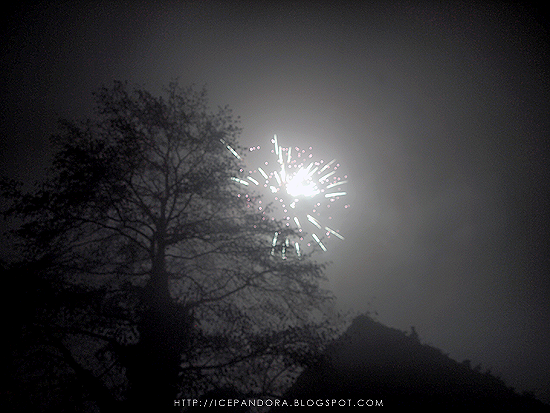 Oh my are those firework photos taken from the new cam? The colour look so pretty and dreamy. Mooi vuurwerk op die laatste foto! je bent nederlands toch? Wishing for the fast recovery of your mom. Goodluck in your 2011 Girl! Anyway, i just discovered your blog and i really like it! You have a very cute style and i love your photos! Ooh you're planning on visiting Japan and HK this year? Super jealous! I hit Asia in 2010 and I miss it like crazy!!! happy new year sweetheart! I love the fireworks! thanks for the comment. 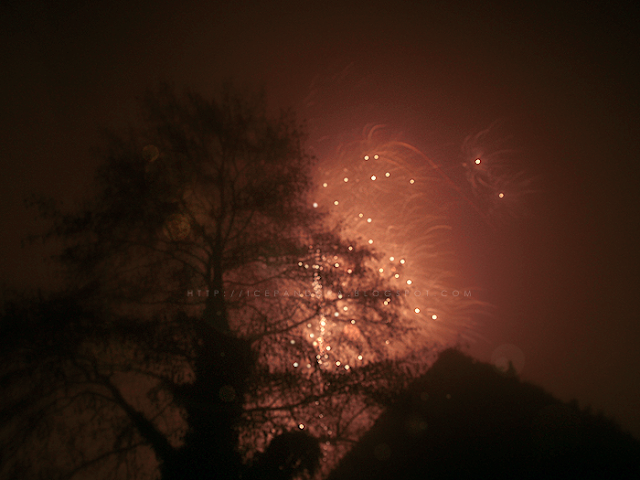 the photos of the fireworks are outstanding. Happy new year to you sweetie!! Hi! nice pictures! Thanks for the visit in my blog! i'll follow you! yummmm ! i LOVE snickers ! The fireworks are beautiful! 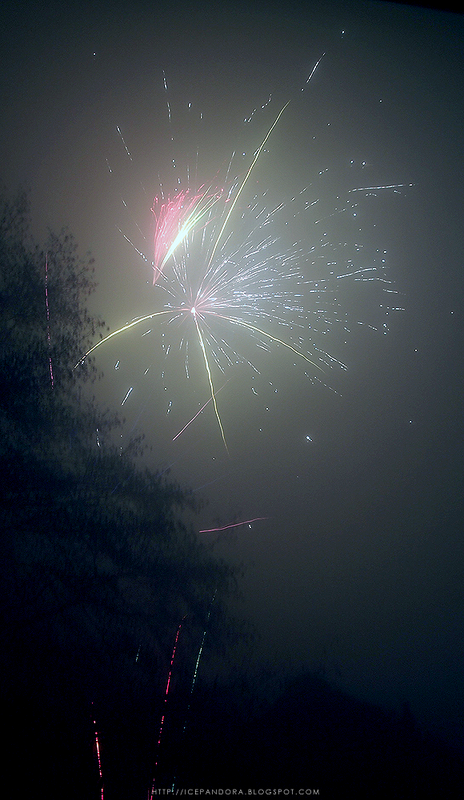 I wish you the best in 2011! Happy new year! I like celebration candy!! haha.. I hope your mom will be okay. Olliebollen!! I have no idea how to spell them, but when I was living in Amsterdam they were my most favourite treats! You always have such awesome pictures and your snacks always leave me hungry!!! Haha. I'm so stoked for 2011! I don't know why, maybe I'm just always this happy for every new year but I am. Sorry your NYE wan't as fab as last year but you look like you had a great time to me!!! Hope you have a great New Years ahead of you!!! Mei,everything is gonna be alright, okay? Time is said to heal all wounds. Hope your mommy gets well soon! im happy to see that you had more ups than downs and i really hope your mom gets better! happy new year! 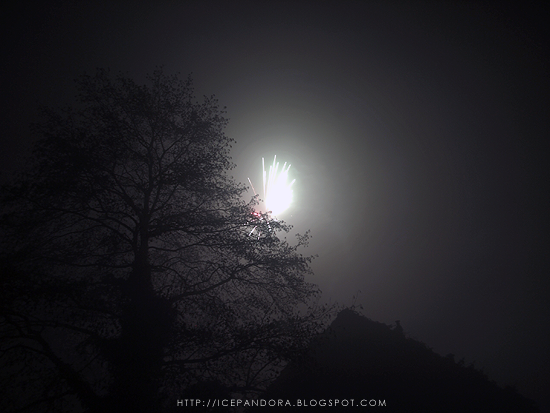 wooow those fireworks are magical! and I wanna go to Japan so badly! Happy New year! I love your Blog and the header is amazing! It would be so wonderful if you visit my Blog! YYYYAAAAAAAAAAAAAAAAAAYYYYYYYYYYYYYYYYY!!!!!!!!!!!!!!!!!!!!!!!!!!!!!!!! I GOT THE BREAD CHARM!! ^.^ (its kinda late ...airmail...=.=) BUT YAYY I AM SO HAPPY:) :) ITS SO CUTE!! What a happy new year you have. The picture is very awesome! Especially the last colorfull firework. Is it using your new camdy ? I really hope your mom gets better!